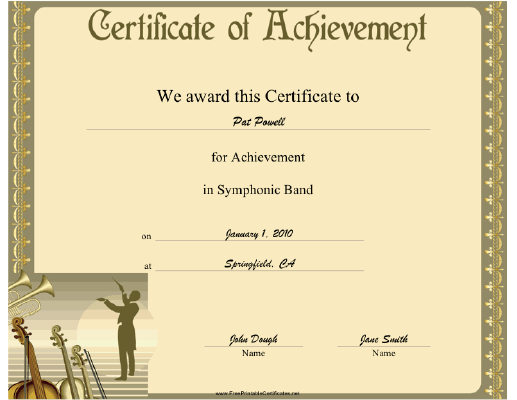 This Symphonic Band Achievement certificate features a musical conductor in tails and several horns and string instruments. To be presented to an entire band or a standout member of a symphony. Can also be used to commemorate a concert.